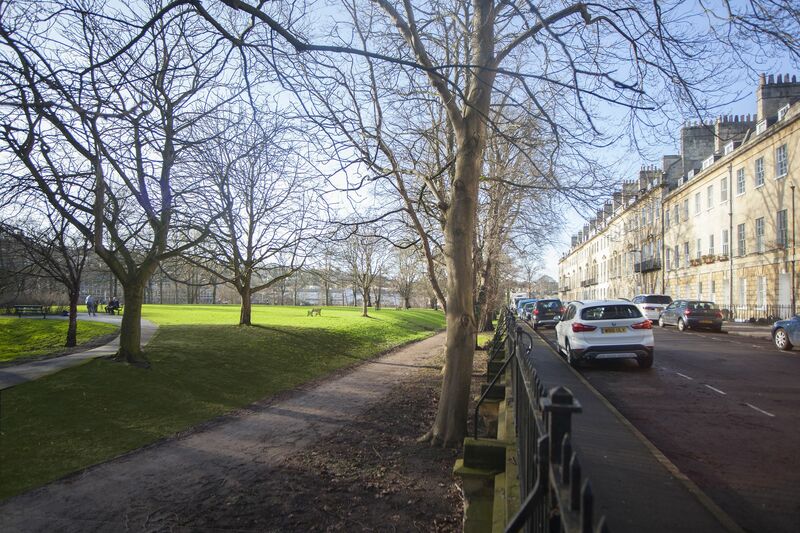 A spacious and serene city garden apartment for 4, in bustling central Bath, with double bedroom, twin bedroom, 2 bathrooms, private garden and a parking permit for one car. In Georgian times, this unusual terraced apartment would have served as the kitchens. The original alcoves which held the range and ovens now make for an atmospheric living and dining area. The vaults under the street have been integrated to the main building, making one very large apartment. Tiled in travertine with under-floor heating throughout, the rooms are freshly painted with contemporary furnishings throughout. The small courtyard entrance leads to a large open living and dining area. Alongside the two tall sash windows is a large oak table and 6 metal chairs. The alcoves now hold a console, bookshelf and large TV with DVD and Netflix. There is a wide grey sofa to seat 3 and a smaller sofa for 2 which is also a sofa-bed, along with a matching footstool and large reading lamp. Along one wall is shelving and storage with a selection of films books and games. Wi-Fi is in the main bedroom beside the living area. A vaulted kitchen has contemporary cream fitted units along 3 sides and plenty of work surfaces. There is a 5 ring gas hob, a large electric oven, a microwave, a small fridge and separate freezer, a dishwasher, a washing machine and separate dryer. Beside the kitchen is a small vaulted twin room in duck egg blue, with an en-suite bathroom. There are two single 3’ beds and a small chest of drawers with wall hooks for some clothing. The en-suite is fully tiled and has a bath with a shower over (with overhead shower rose only), a hand-basin and WC with a tiled shelf for toiletries. The main bedroom has a polished dark oak floor and a large ornate painted timber mantel. There is a large metal framed 6’ super-king bed, a wardrobe with shelf space, a large chest of drawers with a mirror over and a long hand-basin with storage under and a ledge for toiletries. This large and peaceful room in white and grey has a single tall sash window with secondary glazing. It looks on to the apartment’s courtyard garden. 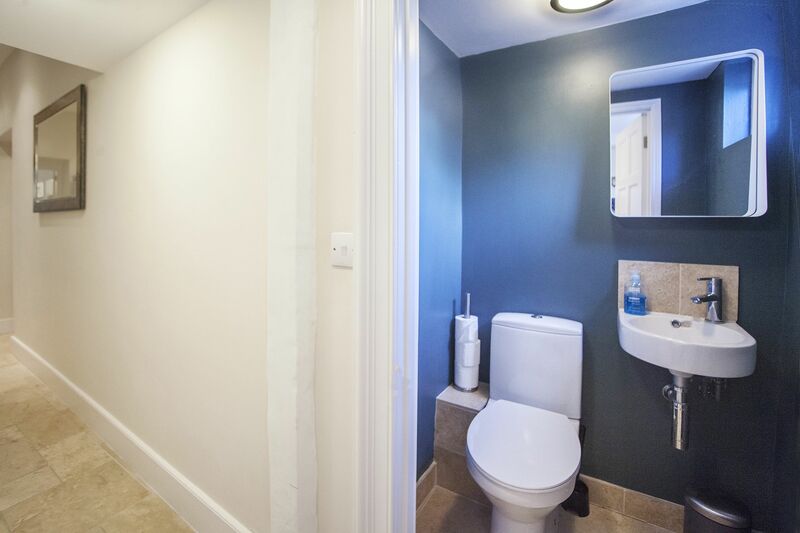 Along the corridor is a shower room with tiled shower and at the far end is a separate cloak room with small hand-basin and WC. In the corridor is part of the original house staircase with a locked door leading onto the ground floor lobby. The door can be opened from inside the apartment and provides an alternative exit route in case of emergencies. park. Behind the perimeter wall of the rear garden lies the Midland Bridge Road. There is a permit to park one car on the street out front the property or anywhere in the central zone. Alternatively the Bath Spa train and coach stations are a ten minute walk away. Green Park covered market is visible from the courtyard, which regularly features a farmers market, vintage finds and original arts and crafts. At the front of the building is the tree lined Green Park leading down to the River Avon. There is a tow-path for walks or adventurous bike rides all the way to Bristol. Follow the river in the other direction to pick up the picturesque Kennet and Avon Canal. Also close by for children, is a large free adventure playground alongside Victoria Park. This spacious park is always good for a picnic and has a botanic garden to explore, seasonal fun fairs, crazy golf and ice-skating in winter. Here at the city centre, you are in a good position for enjoying Bath’s entertainments. The Odeon Cinema with a choice of 10 screens is a minute’s walk away, while the Bath Theatres and also Komedia, for comedy and music, are just a few minutes’ walk from the property. In-between is Kingsmead Square with a variety of coffee shops and world cuisine. Around the corner on Monmouth St. is ‘The Scallop Shell’ for award winning Fish and Chips and handily, there is a large Sainsbury’s Supermarket juts behind the property. Green Park Brasserie is close by and often has jazz nights. All of Baths’ beautiful historic sites are within a 10 minute walk, along with great shops, restaurants, museums and galleries. Gorgeous space, amazing location. Thank you for the wonderful welcome gifts which welcomed us on arrival. 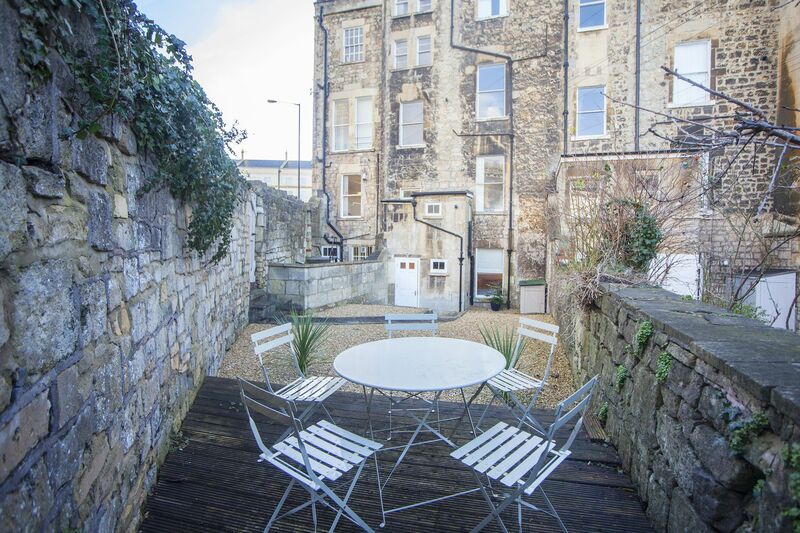 The apartment is spacious and well located within a 10 minute walk of central Bath, the Royal crescent, Roman baths, etc. The furnishings are quite basic but sufficient. The beds were comfortable with quality mattresses. The main bedroom has an odd set up with a separate shower in the hall and the loo in a separate cloakroom, the second Twin room has a full ensuite Bath with overhead shower which is much better. The Wi-fi was slow and signal weak, I think a booster would be helpful, as a result streaming Amazon TV was problematic. There were some nice touches including wine, milk, Tea, Coffee Cereal and biscuits on our arrival. There is also a good manual and some great local recommendations for eating out. The apartment works well for two couples or friends as the bedrooms are at either end of the apartment so as not to disturb one another, and having two bathrooms even if with an odd layout is still a bonus. We spent a week at the Green Park Garden Apartment ★ ★ ★ ★ ★ We spent a week at the Green Park Garden Apartment. 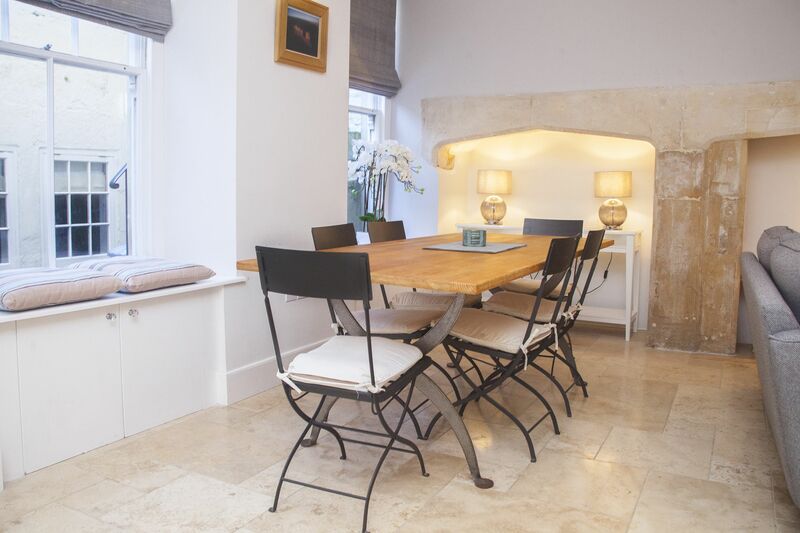 It is a beautifully appointed and well-located apartment, about 10 minutes' walk from the centre of Bath. Our teenagers were delighted to discover it has WiFi and Netflix on the telly. The kitchen is well-equipped, and the master bedroom spacious and comfortable. The underfloor heating ensures that the beautiful stone floors are warm underfoot. We would stay here again. We spent a week at the Green Park Garden Apartment. 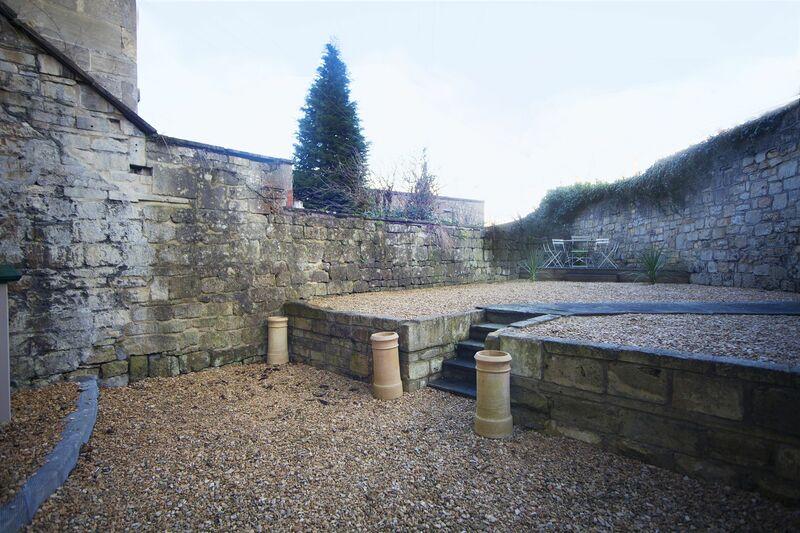 It is a beautifully appointed and well-located apartment, about 10 minutes' walk from the centre of Bath. Our teenagers were delighted to discover it has WiFi and Netflix on the telly. The kitchen is well-equipped, and the master bedroom spacious and comfortable. The underfloor heating ensures that the beautiful stone floors are warm underfoot. We would stay here again. This is a beautifully appointed flat, in a quiet street but with easy access to the city. Ten minutes walk (or less) took us to the sights, the restaurants and the shops. The flat itself is spacious and charming, with many original features carefully retained. I just wish we could have stayed longer! This must be one of the best apartments we have rented in some nine years of visiting English towns and cities. Well done! This property is new to our portfolio as of February 2018 - If you have stayed in the Green Park Garden Apartment a testimonial will be greatly appriciated!